You might expect Emma Rice’s departure from the Globe to leave a bad taste in the mouth, but her final show couldn’t be sweeter. A life-affirming treat, ‘Romantics Anonymous’ is a musical adaptation of the 2010 French film ‘Les Émotifs Anonymes’ about two painfully shy chocolate-makers who fall in love, with a pretty score from Christopher Dimon and Michale Kooman. 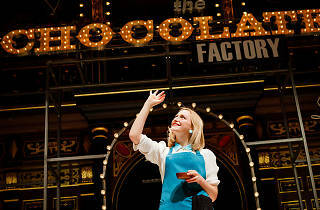 Rice’s work always shows big-hearted affection for the underdog (think of the chorus of the unloved in ‘Tristan & Yseult’), and so it proves here: Angelique is a young woman with a genius for making chocolates, but she’s so timid, she faints when people look at her; Jean-Rene runs an ailing chocolate factory, but he’s so awkward he can barely make conversation. The musical proves the ideal medium for the unspeakably shy: whimsical piano and woodwind-led songs give voice to the characters’ churning inner turmoil. While ‘Romantics Anonymous’ is very funny, it will also feel wincingly familiar to anyone who’s ever hidden in a toilet out of nerves. Carly Bawden and Dominic Marsh are utterly gorgeous as the pair, so cute you simultaneously want to squeeze them and knock their heads together. ‘Romantics Anonymous’ is motored with an irresistible romcom drive – although the moment when Angelique scares Jean-Rene off by talking too soon about marriage and babies feels like a hackneyed trope that could’ve been tweaked. In the intimate Sam Wanamaker Playhouse, this production feels particularly close and communal, although weirdly there's not much use made of romantic candlelight. It’s staged with Rice’s customary elan, and a busy-body onstage chorus (terribly French, in Breton tops and berets) double as all sorts of comic cameo characters. There are knowing nods throughout to the absurdity of people bursting into song, too. It isn’t quite love at first bite. 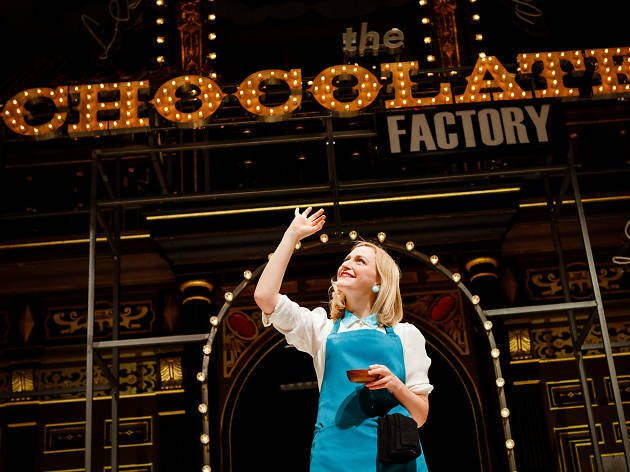 This material risks being cloyingly twee, and an opening number about the magic of chocolate is teeth-achingly sugary and trite. But cynicism soon melts away, as ‘Romantics Anonymous’ turns into something truly delicious: a memorable, bittersweet final show from Rice. Frothy, fun & charming. This was fabulous from the magical complimentary chocolate opening to the joyous end. I shall miss Emma Rice at The Globe so much- at least she's not moving far... The cast are universally fantastic, the music is lovely & the script is witty with great characters. The physical comedy was well timed too. An absolute delight & highly recommended- leave any cynicism at the door!